Our biggest year ever! 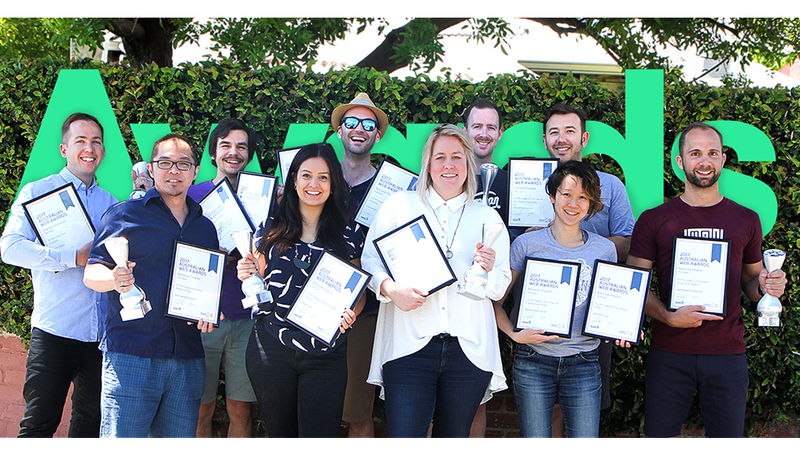 We’re incredibly honoured to have been awarded the top prize for a total of 6 of the 9 national categories in this year’s Australian Web Awards, including the prestigious McFarlane Prize for Site of the Year. Our work with WA skincare brand Sodashi won us both the eCommerce and Site of the Year awards. As this project gave us plenty of room to explore bold brand expression and elegant user engagement features in an eCommerce context, it felt great to have our efforts validated by not one, but two highly coveted awards. Since the site launch, Sodashi has seen over 100% growth in global sales, with over 280% growth in international sales online. With ONiA, we collaborated on a fun and modern aesthetic that would communicated the practice’s approachability and professionalism, while challenging the status quo of the brand’s marketing space. The final product took out the always-competitive Commercial category and placed as a finalist for Site of the Year. We received the Not For Profit award for the new Fremantle Arts Centre website, our contribution to a strong digital presence that would truly promote the Centre as a world-class destination. Meanwhile, our work on the interactive Your Great Space planner, for Lakeside Joondalup Shopping Centre, brought home the Innovation award against some tough competition. Finally, our very own Humaan website also won us the award for the Small Business category. This one was more than a year in the making! We relished the obligation and opportunity to push the limits and explore a completely different approach for our brand. Congratulations to all the other winners and finalists from around Australia! We’re honoured to have been considered alongside entrants of such impressive calibre.